This is the shortcode format for the old version V2 series. post_type *required This will hide the Archive sort type from the interface. Only the taxonomies will be show for re-order. hide_archiveThis will hide the Archive sort type from the interface. Only the taxonomies will be show for re-order. taxonomyFilter the post type taxonomies to a single one, using this only the provided taxonomy will be listed. 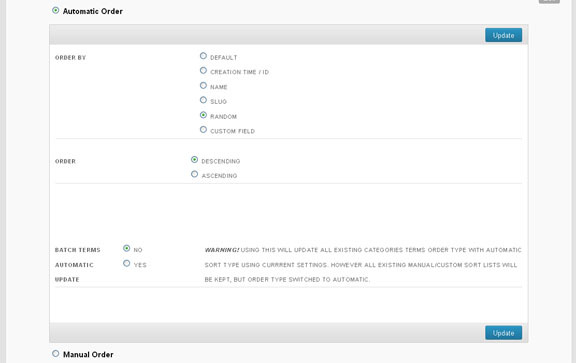 Along with the taxonomy, a drop-down selection will be show to allow the term objects which need sorted.